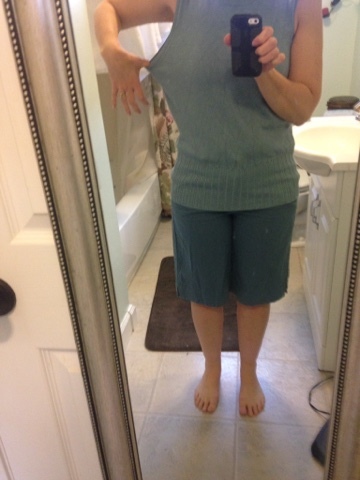 I started of with this outfit that cost a total of $2.00 brand new at a local outlet store. The sweater was too big and the shorts were unflattering. I had this shirt that has been in my closet. 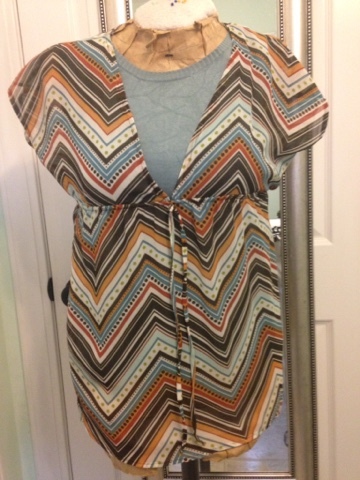 I love the print but I have never worn the shirt. I felt that it was finally time to do something with it. 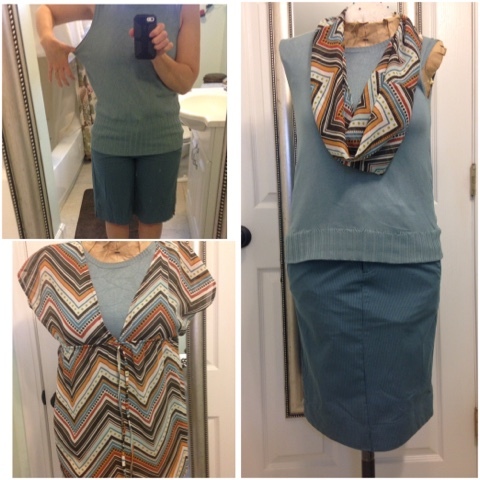 I made it into an infinity scarf and the shorts into a skirt. The sweater was just taken in at the sides and shortened. The new scarf matches the outfit perfectly. 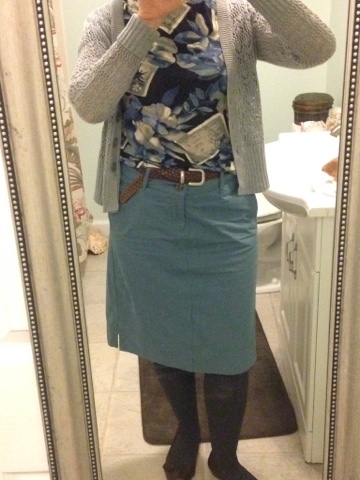 The skirt is surprisingly very versatile and I get lots of compliments when I wear it. Love the entire ensemble, but especially the skirt! I'm sure you'll get a lot of use out of it.